Last month we reported that Canadians have embraced the net like no other country. So Canucks are great users, but are they great creators? We’ve rounded up a handful of tech companies that are all doing something interesting in Canada. KiK Interactive Inc, is the Waterloo company behind Kik Messenger. It’s a cross-platform instant messaging service for mobile devices that delivers quick messages, turning them into real-time conversations. Kik Messenger provides users with a completely free solution to text with friends across the globe, an app that has now been embraced by over three million users. Kik is growing rapidly and has reported that it’s seeing approximately 10-15,000 new users a day, and the number of messages sent by each user has doubled since November 2010. This Ontario-based company will no doubt continue to drive its user base with its new features that will add support for picture messages and group chats. 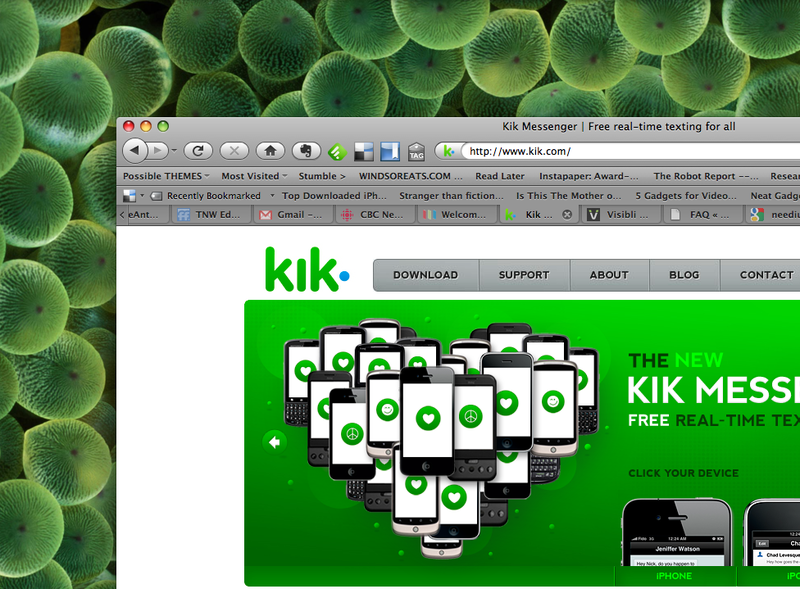 The Kik app is available on iOS devices, Android, Blackberry and will be available on Windows Phone 7 soon. Interaxon is a Toronto-based company that is developing thought-controlled computing technology. And it’s leading the way in this new space of tech that enables users to control applications though their brain waves. Sounds pretty trippy right? Interaxon’s technology uses a sensor to detect your thoughts and is capable of bringing new meaning to the term “user-friendly”. The Interaxon team, that includes neuroscientists, engineers, designers, and project managers will likely make some serious waves this year with applications like Zen Bound. Last week at CES, Interaxon was showing off a demo of its technology working with a new version of the iPad game Zen Bound. Players were challenged to wrap a rope around objects with their minds using the iPad without actually touching the device. Interaxon is the start of exciting new advancements in thought-control. Montreal’s Needium, is using the power of social media to help small to medium sized companies look for opportunities and potential clients. Needium is software but it’s also a full-service solution for companies that are unable to utilize the software. By using Needium, a company can hear what people are saying about their brand, and it will seek out opportunities for the company to convert new customers. As an example, using the Needium service, restaurant owners would receive messages like “I’m looking for a good restaurant” from social networks such as Twitter, at which point the restaurant owner could then reply with “Visit our restaurant…” Needium is well positioned for the growing amount of SMB’s looking to enter social media and it’s a tool that can be used without any prior knowledge of social networks. Montreal-based start-up 2XM Interactive, is designing a new generation of advertising and store fronts through interactive touch surfaces. In a recent campaign ran in Montreal at Promenades Cathédrale, 2XM created promotional material that sported a QR code. And, when the QR code was held up in front of one of its ads, the promotional display was activated and it allowed the user to play a game. As we continue to see companies add their Twitter account to TV commercials, we’ll likely also see them embrace a new generation of customers with this type of interactive advertising. 2XM will “transform any glass surface into a multitouch interactive magic” and can develop the software within to work with smartphones and promotional material as we’d mentioned. Wajam, based in Montreal, is a service that adds a social twist to searching information on the web. And, it’s able to include what your friends are sharing or saying about a topic when you perform a search on engines like Google, Bing and Yahoo. Wajam works by gathering information from your Twitter and Facebook friends, and through the use of a browser plug-in, it adds a social layer of data into the search page. Aside from Facebook and Twitter, it also supports the ability to import bookmarks from your browser, as well as your Delicious bookmarks. If you were searching Google for “iPhone stuff” as an example, Wajam would take the imported links from the aforementioned services and would embed any related “iPhone stuff” right above the search results. This service is still working out the kinks and is still in private beta, however the service itself looks promising and will likely attract a large user base when it finally launches. 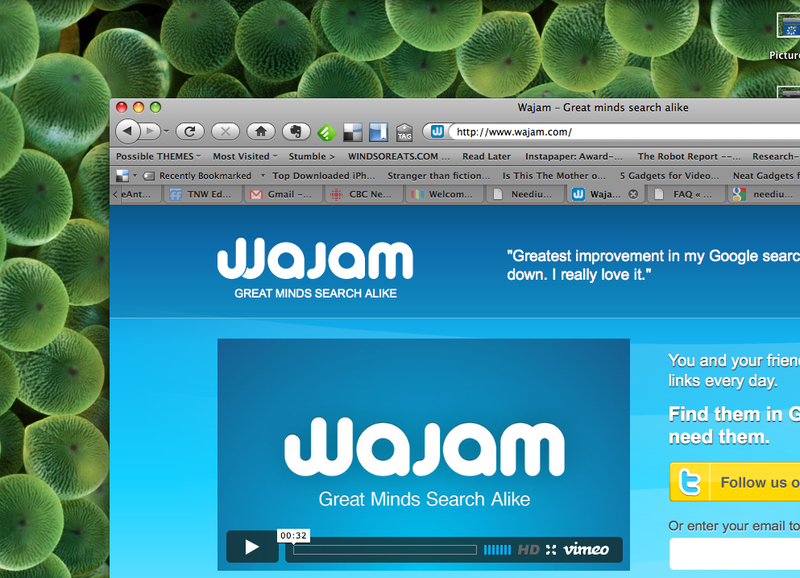 The Wajam browser add-on works with Firefox, Chrome, Safari, and Internet Explorer. 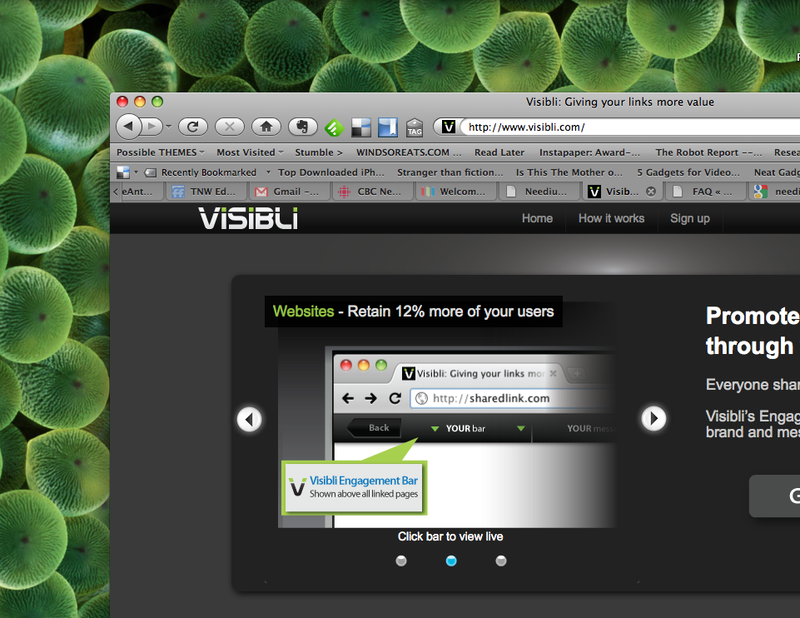 Visibli is a Toronto-based start-up changing the way we share links, through its use of a branded engagement bar. The service is meant to help readers return back to your website or virtual store when they click an outbound link. It works by attaching a bar (Engagement bar) flush to the top of the page where the reader can then easily use it to navigate back to the original content. And, the engagement bar itself can be personalized to contain your brand or site’s logo and colours. If you’ve used StumbleUpon, the design of the bar is very similar. It also does something interesting with links you share while using the Visibli bookmarklet. After dragging a link into the bookmarklet, your friends will see your branded engagement bar on the page of the link you shared. During its closed beta period, Visibli claims that bloggers reported an increase of 12 percent in retention rates after installing the Engagement bar. All in all, this might turn out to be a helpful tool for web publishers and I can see e-commerce sites jumping all over this service. Tynt offers a wealth of information that publishers can use to learn more about their readers. Tynt’s analytics tell content providers where the content is being pasted, what information is being distributed, and if any of the information is being used to carry out a search on a search engine. At the end of the day, information is power and Tynt has a lot of data about how people are using the web. As of July 2010, Tynt was seeing 10 million copies (copy + pastes) a day to its free service. Speed Search is another cool Tynt feature that allows users to search the web without leaving the publisher’s website. Using speed search, when a user highlights a word, a popup box appears and scours the web for the information, eliminating the action of using a search engine. Tynt additionally assists companies and developers with data feeds (data Tynt has collected from other sites) that are customized to a specific topic, behavioural information that could potentially bring huge value to publishers. 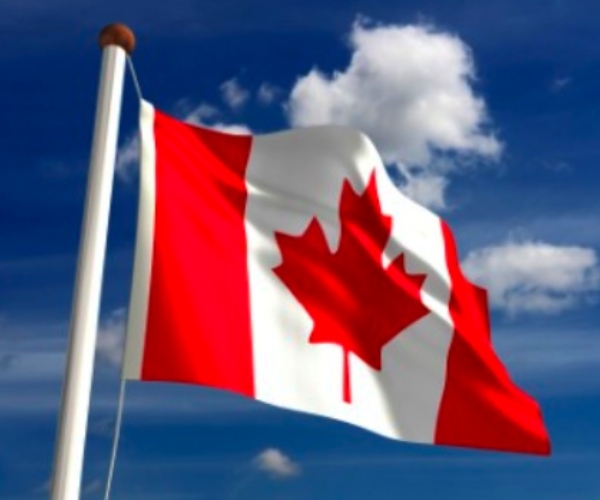 We’re always looking for exciting new services and technology happening in Canada, if you know of a great Canadian start-up, please let us know in the comments.